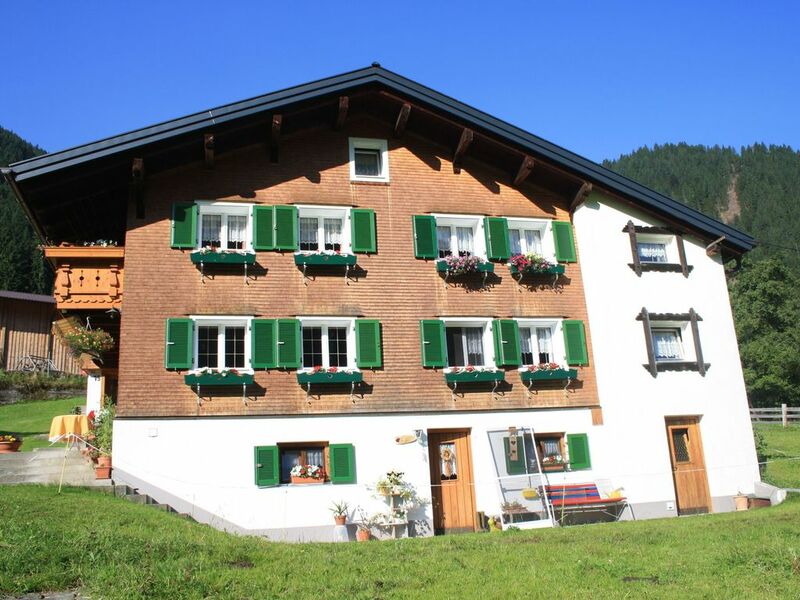 Gaschurn is the best known holiday village in the Montafon region and situated 15 km from Schruns. The simple house Valullablick is located on a wonderful quiet site approximately 1 km from the charming village centre of Gaschurn. The furnishings are very simple (very simple kitchen), but well maintained and typically Austrian with a lot of wood. The entire first floor of this detached house is for your sole occupancy ( apart from 1 bedroom). The three bedrooms all have their own sinks, especially pleasant in the morning.To the front of the house is a sunny garden with garden furniture and a barbeque. Limited headroom due to sloping ceilings, which makes it less suitable for tall people (over 1.85 m).